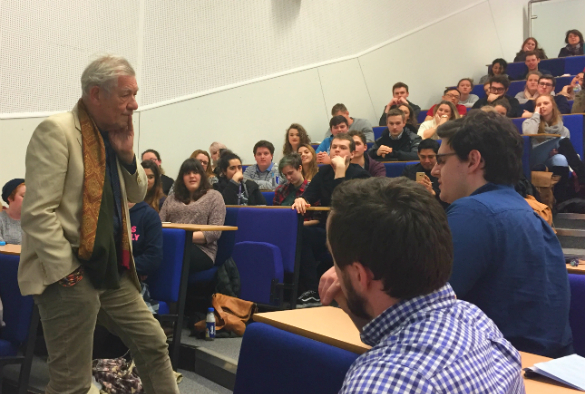 Actor, activist and national treasure Sir Ian McKellen visited campus on Friday evening to speak about LGBT+ issues to a packed-out audience of 300+ in the Central Teaching Hub. The event was organised by vet student and Liverpool University Veterinary Society LGBT+ president Joe Simon, in collaboration with national group, the British Vets LGBT+ Society, as a way of raising awareness of LGBT+ history and issues. 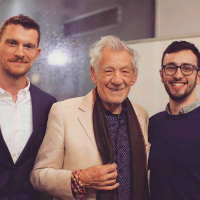 During his talk, Sir Ian discussed the hardships he faced as a young gay man, and his involvement in the campaign against the controversial Section 28 law, which prohibited local authorities from ‘promoting’ homosexuality or ‘pretended family relationships’. On his public coming out at the age of 49 on a BBC radio show, Sir Ian said it was a momentous and liberating occasion. However, despite the law now being on the side of the LGBT+ community, he recognised that coming out in the workplace can still be an issue, due to a fear of how others will react. He noted that “nothing but good” can come from groups like the British Vets LGBT+ Society, which provides a support network to members of the veterinary profession across the UK. British Vets LGBT+ president Mat Hennessey also spoke at the event, and highlighted mental health statistics of LGBT+ people and other issues within the veterinary community. 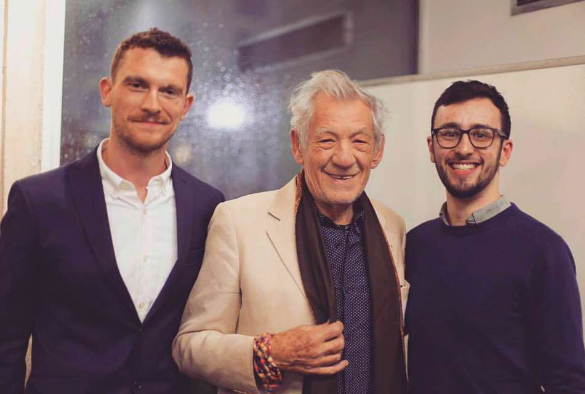 Organiser Joe said: “This talk with Sir Ian McKellen was six months in the making and having it finally happen was the most amazing thing. The evening also raised more than £780 in audience donations for the Michael Causer Foundation, a local charity working towards LGBT+ inclusion and support.